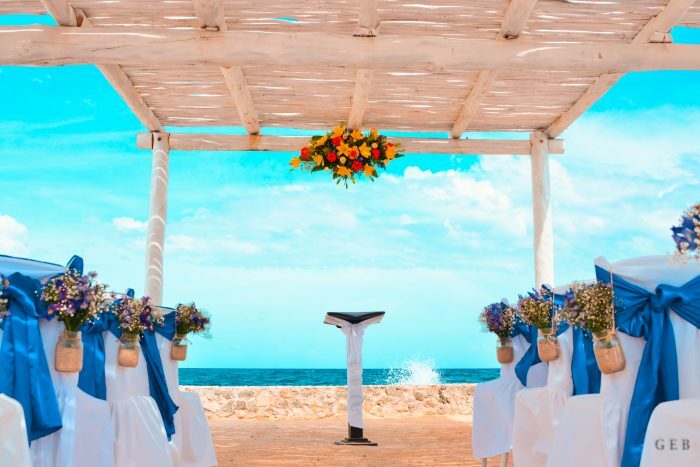 The ideology behind the decadent Grand Bahia Principe Coba resort, in stunning Akumal, is that staying at the resort is designed not to just to benefit you during your stay but to bring peace to the soul to last a lifetime. It’s just a short trip to crystal clear waters that feature tons of underwater vegetation and tropical fish, not to mention the high population of sea turtles in the area. 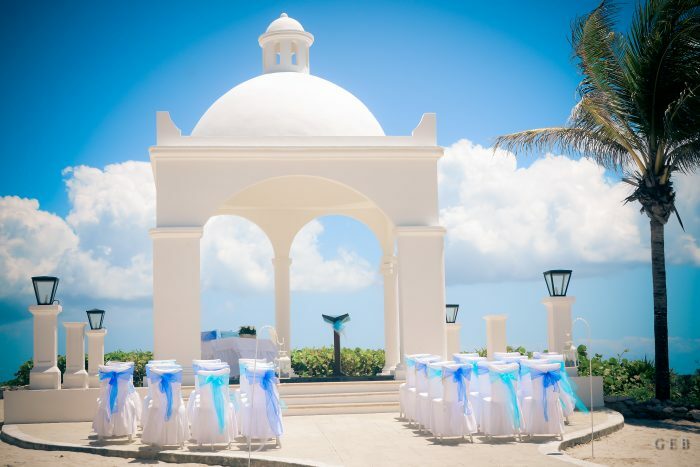 With a Grand Bahia wedding, you’re sure to have a ceremony every guest will remember for a lifetime. The resort is surrounded by jungle, so it’s very likely you and your wedding guests will run into some of the local wildlife. For truly exciting excursions, you can swim with dolphins on-site, or book swimming trips to Yal-Ku Lagoon or the underwater caves of Sistema dos Ojos. The resort is large but offers convenient trams to take you around to the nearby beach, restaurants, and rooms. 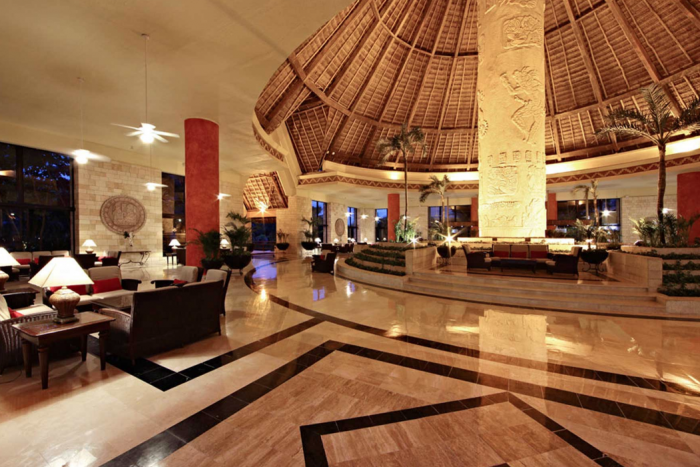 Access to the Principe Tulum next door means you get two giant resorts for the price of one. The free package is only offered yearly from the end of December through April and welcomes up to 30 guests, including the couple, with the requirement that they stay at the resort. Upgraded packages, additional guests, and add-ons are available for an additional cost. 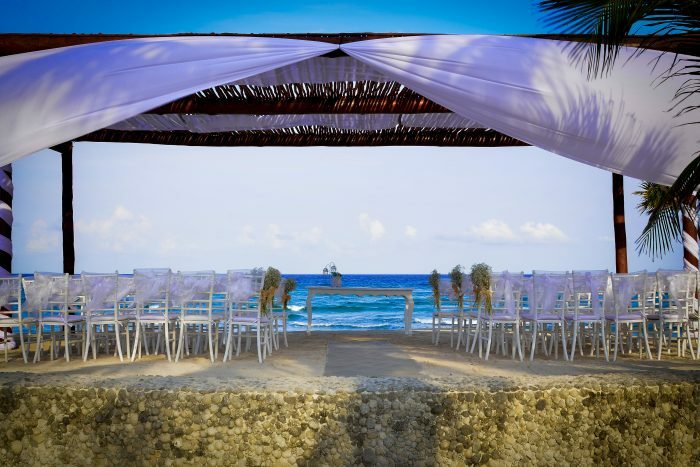 Akumal Beach Terrace – 500 guests max , Tulum Gazebo – 400 guests max, Tulum Beachfront – 80 guests max, Tulum Huppa – 60 guests max. 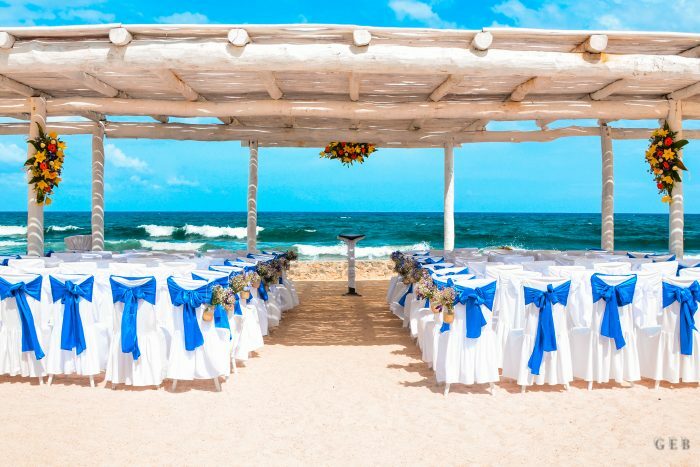 Grand Bahia Principe can host up to 4 weddings per day. To book a specific venue with a certain date in mind, it is highly recommended to book at least 6 months in advance. $80 – $134 average price per person per night. Rooms include private balcony or terrace, minibar, and hydromassage bathtub. Children 1 and younger stay free. There are 1080 rooms with resort and ocean views. Due to the large size of the resort grounds, it is recommended for more active guests. Golf carts are available as shuttle service around the resort. 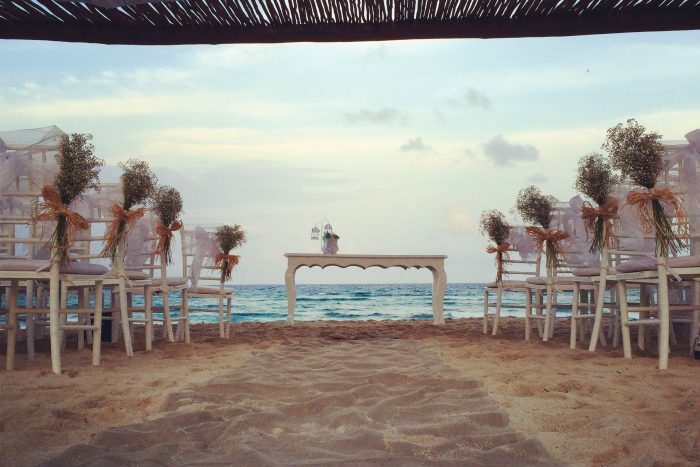 The busiest months for weddings, according to the wedding department, with high chances of occupancy sell-outs are May – July, October, and November. 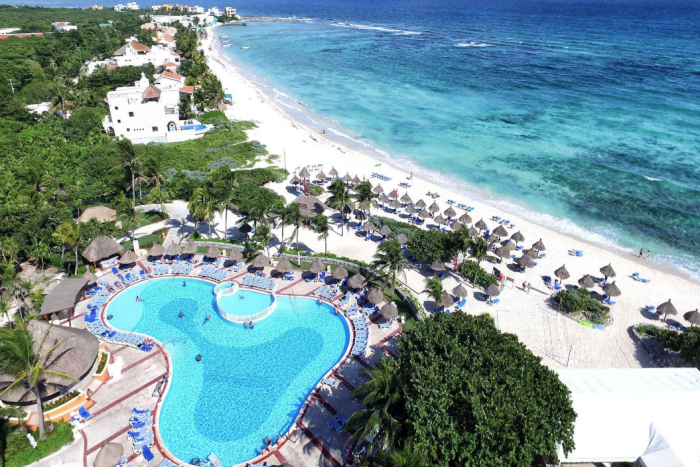 The resort is located 62 miles from the CUN airport. There are 1080 rooms with resort and ocean views. Due to the large size of the resort grounds, it is recommended for more active guests. Golf carts are available as shuttle service around the resort. 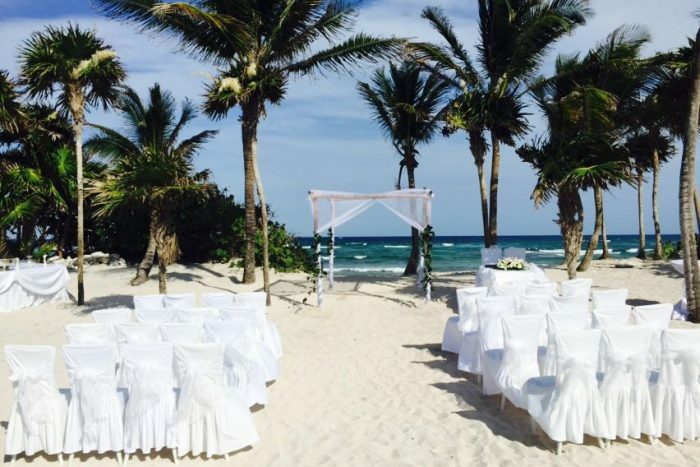 Guest have further exchange privileges with Grand Bahia Prinicpe Tulum.